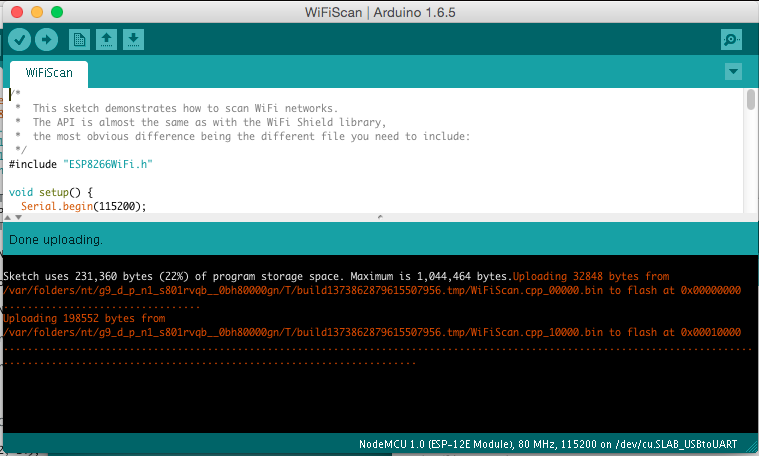 You will be programming the ESP8266 from the Arduino IDE. Since Version 1.6.4 the IDE can be easily extended to program other boards the “normal” Atmel chips found in the Arduino boards. And that is exactly what we are going to do in order to program the NodeMCU V1.0. Before we start I would like to point out that an improved version of this guide is also available as eBook for Kindle. Buy now! This Guide is also available as eBook for Kindle on Amazon. Buy now! Go to https://www.arduino.cc/en/Main/Software and download the latest version. Now pick the version matching your operating system. For Mac OS X for instance you download a ZIP file which you then have to extract. 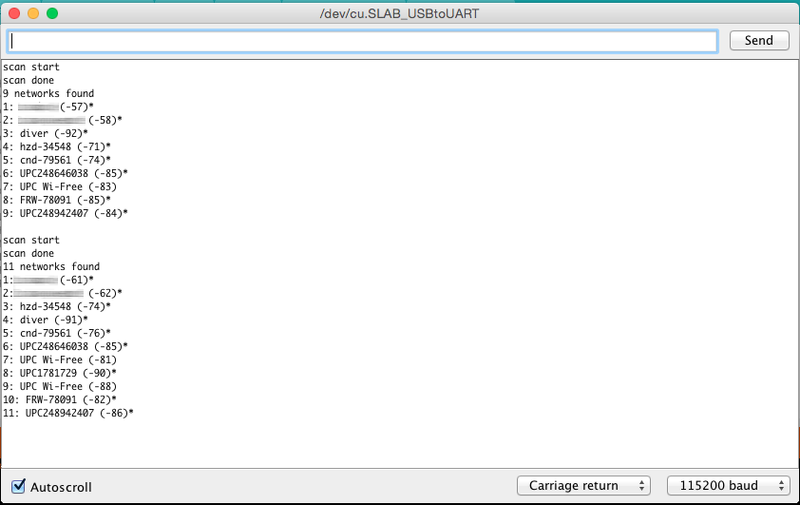 Take the extracted application “Arduino” and move it to your Applications folder. For Windows you have the option between an executable installer and a ZIP file. The ZIP file might be the better option if you do not have administrator permissions on your system. The installer on the other hand can put the libraries in the proper places. A tool chain is the set of tools that lets you compile and create binaries for a certain platform. Since we want to create binaries for the ESP8266 we need a different tool chain than the one that comes with the plain vanilla Arduino IDE. If you cannot see a device that looks like the NodeMCU, try to unplug the ESP module and re-plug it after a few seconds. If that doesn’t help consider restarting your computer… Make sure that you installed the driver as mentioned in paragraph 1. If you see something similar: congratulations! You have just set all the preconditions to run the WeatherStation code.